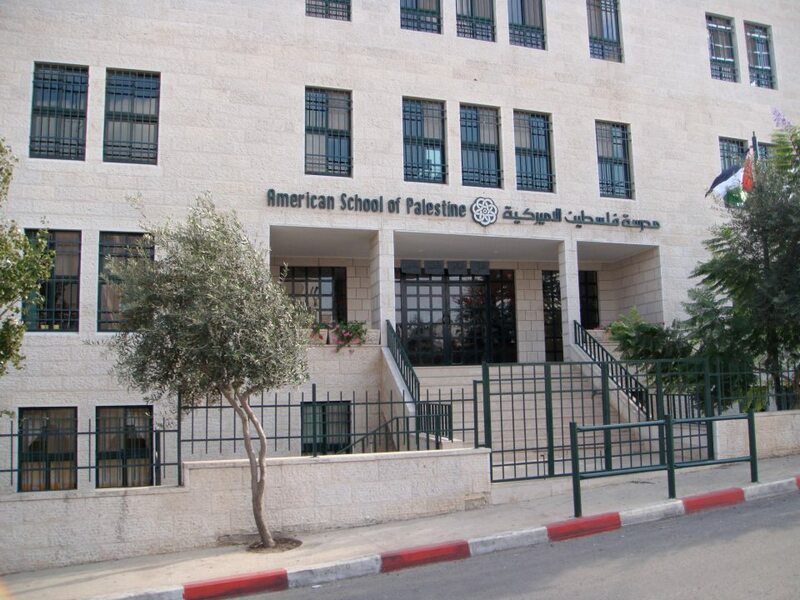 The American School of Palestine is an American school, in that it was founded by American citizens for American students and offers a curriculum based on American educational principles and methods. The School’s curriculum is heavily fortified by American college preparatory subjects. The School also strives to impart on its students the best of American values, including human rights, civil liberties, democratic values, and freedom of thought and expression. The American School of Palestine is a school of Palestine, in that it is located on Palestinian soil, enrolls Palestinian students, and incorporates the basic tenets of the Palestinian curriculum in its academic programs. The School strives to cultivate and nurture in its students a deep understanding and pride in their cultural heritage and identity. The American School of Palestine strives to provide its students with the best of what both cultures offer fused into a cohesive practical and relevant mold of academic excellence and cultured refinement. In pursuit of the School’s commitment to excellence, teachers encourage students to question, to discover connections, and to think independently. They aim to give the students the skills to explore the world’s complexity with pleasure and purpose and to respect themselves and each other. Effort is made to help students achieve their potential with limited class size, small group instruction, and attention to the individual in a nurturing environment. Teachers provide thorough grounding in verbal and numerical skills while fostering creativity and self-confidence. These skills are integrated into a rich and imaginative curriculum of literature, history, mathematics, science, technology, writing, foreign languages, the arts and athletics.